Create a spectacular cinematic experience in your own home. 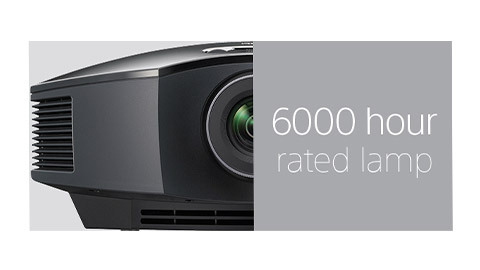 The VPL-HW45ES is packed with technology developed for our professional Digital Cinema projectors, including SXRD panels and Advanced Reality Creation upscaling technology for fabulously detailed Full HD images. 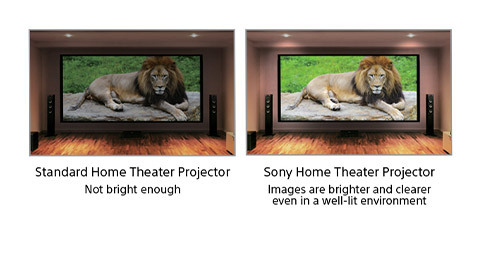 With 1,800 lumen brightness and a compact design, it’s the perfect choice for unforgettable home entertainment. 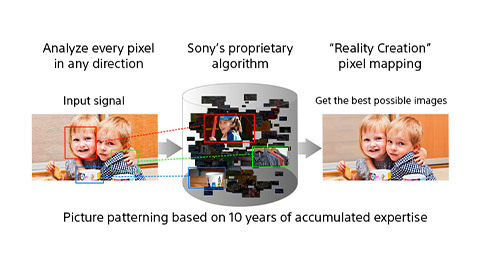 Advanced SXRD® panel technology is teamed with Advanced Reality Creation — Sony’s Super Resolution processing technology that refines subtle details, colors and textures. You’ll see the difference with crisp, sharp Full HD pictures that take you closer than ever to the original 1080p source. 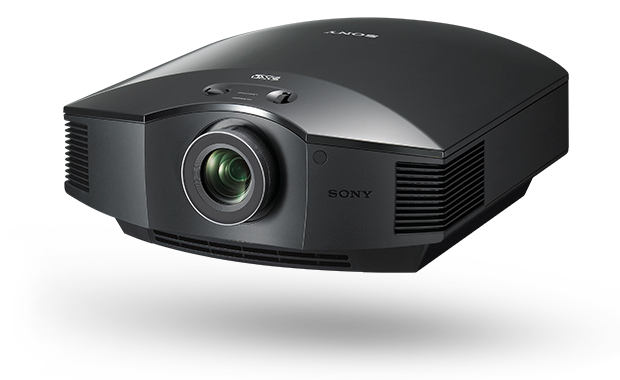 With an impressive 1,800 lumens brightness and high contrast ratio, Full HD images are clear and with bright highlights and rich, deep blacks — even in well-lit rooms. 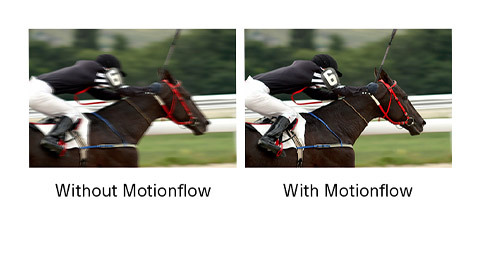 Coupled with the panel’s super-fast response rate, Motionflow™ technology means you’ll see every detail with minimal blur — no matter how fast the action. Up to 6000 hour3 rated lamp operating life (in Low mode) means simpler maintenance, with fewer lamp swaps and reduced running costs. 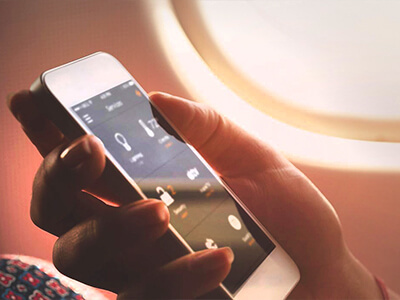 Forget that the projector is even in the room due to the advanced air discharge system. Sony’s whisper-quiet fan emits only 22db during show time.